In a recent order, the Central Information Commission has ruled that subject to availability and convenience of the Minister at office in capital city or in his constituency, the ministers owe a moral and democratic responsibility to meet their voters or people in the constituency. The CIC ruled that Ministers in Union and State Governments are public authorities and recommended that the Centre and States provide necessary support to each Minister, which includes designation of some officers or their appointment as Public Information Officers and First Appellate Authorities. It also recommended that they be given an official website for suo motu disclosure of information. The appointment of a Public Information Officer has been directed to be made within two months. A CPIO for the office of Minister of Law has also been directed to be appointed. Lastly, it recommended that the ‘oath of office and affirmations’ administered to each Minister must be changed from being one of secrecy, to an ‘oath of transparency’. The appellant, Mr. Hemant Dhage had, through his RTI application, addressed the Additional Private Secretary of the Minister of Law and Justice, seeking to know the time scheduled for common people to meet the Cabinet Minister and Minister of State in the Mantralay. He also demanded that the time of meeting the Minister be provided. The applicant was informed by the PIO of Ministry of Law and Justice that no specific time was given for general public to meet the Minister. However, as and when requests are received, appointments are given subject to the convenience of the Minister. 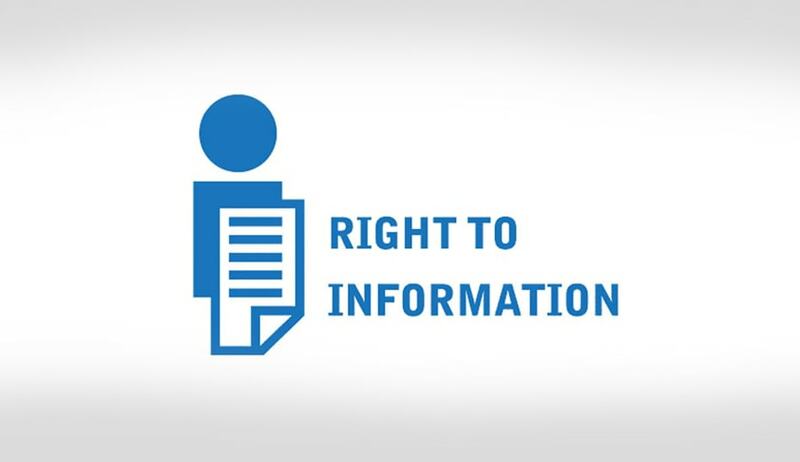 Though the parties from both sides were not present, the Commission considered it its duty to examine the contents of the request and the legal possibility of providing access to the information held by the Minister. Prof. Sridhar referred to various Articles of the Constitution of India and observed that “both commonsense and Constitution suggests Minister is an authority constituted ‘by and under the Constitution’. (sic)” He noted that the Minister’s salaries are determined by the Salary, Allowances and Pension of Members of Parliament Act, 1954, which he considered as being another feature to be taken into consideration while declaring them as public authorities. “Similarly, regarding the Council of Ministers in States, the Articles 163 and 164 provided for the appointment and salaries of the Ministers. Each member of Council of Ministers both at State level and Union is provided with the office, sufficient staff and other resources and infrastructure. Some senior scale civil servants also serve them. Entire expenditure of provision and maintenance of the office along with salaries to the staff members is borne by the Government and paid from the tax-payers money. Thus state Minister is ‘public authority’ as per Section (h) (a) of RTI Act, 2005,” the Commission further observed. Extending the observation that it was the moral duty of Ministers to meet their voters, the CIC opined that this duty included a “genuine responsibility” of the office of the Minister for Law & Justice/Minister of State to inform the people about the time of such meeting.